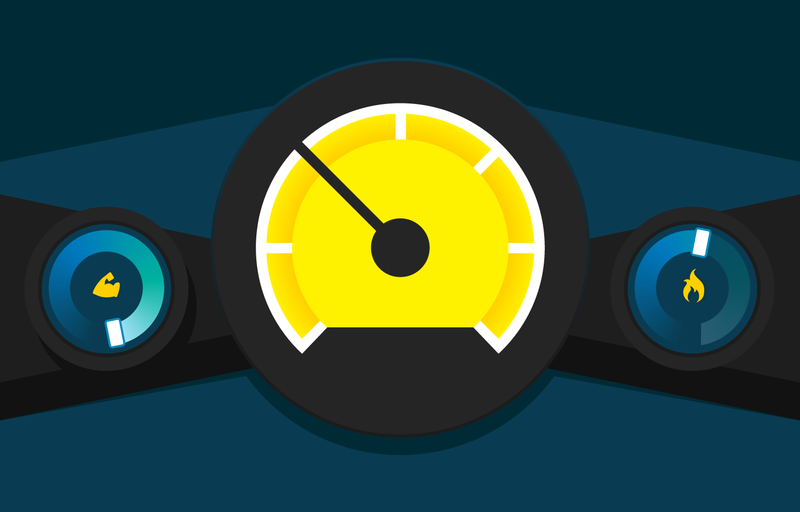 Bring all the power of WPMU DEV to your WordPress dashboard. Connect with the Hub site manager and activate our complete toolkit. Unlock better security, backups, performance optimization, one-click installations, automated updates, reports and improved support access. Add: new whitelabeled analytics service! Add support for wp.org repo updates from Hub! Wiped out the current bug list! She's smart and stable. Enables the brand new "Update All" function in Hub! Also includes several small bugfixes and improvements. - Add support for the lightning fast "Update All" feature in Hub! - Add entry for WPMU DEV Dashboard to the "My Sites" menu in multisite installations. - Improved default display order of plugins and themes in WPMUDEV pages. - Improved plugin activation refreshes the page to display the plugin menu item. - Disable auto-update function for legacy plugins and themes that cannot be updated via the WPMU DEV Dashboard. - Fix remote access expiration time to use timezone defined by WordPress. - Fix date formatting issues in the Support tab, that displayed a weird expiration time for support access. - Fix some links that point to the WPMU DEV website. - Fix display of special characters inside Notes-field for support access. - Fix rare fatal error about `Call function has_cap() on boolean` during plugin activation. Themes can now be enabled/disabled network-wide on multisite installations. For those who really want to use it: The Logout button is working again! Improve performance of the Dashboard. Improve plugin performance to avoid 502 errors on WP Engine admin sites. Fix install logic to first install Upfront parent before a child theme is installed. Fix install logic to not enable newly installed plugins network-wide anymore. Fix an issue that caused lots of duplicate SQL queries on wp-admin. Fix for a few sites that had problems with new Hub features like Uptime check. Fix recognition of active themes. Now themes-list on the Hub displays correct theme status. Available updates are now displayed above other plugins/themes. We made the Dashboard much more reliable! Add much smarter project-caching to reliably detect available updates. Add check to automatically update Upfront-parent when a child theme is updated. Fix fatal error (has_cap) when admin user was deleted. Fix incorrect links in the search-results of the main Dashboard page. Fix a possible infinite-loops that blocked wp-admin for the superadmin in rare cases. Add an additional timeout to really prevent infinite-loops in any case! Remove the Instructions popup from plugin; you can find Instructions on the website instead. Many small changes to polish the UI and generally make plugin more stable. Remote updates are working now! Fixed the message "Plugin is at the latest version" when trying to remote-update a plugin. Fixed notice on WordPress plugins/themes page about undefined variable "can_install". A lot of improvements to make those updates reliable. Plugin just got faster and more stable! Added our own changelog to the default WordPress Updates page for WPMUDEV plugins. Fixed another problem for members with Single-Membership. Fixed an issue about "undefined function is_plugin_active". Fixed an incompatibility with php 5.4 and lower. Refactored API logic to prevent redundant API calls, which makes you site faster. Improve error logging, especially with WPMUDEV_API_DEBUG flag enabled. Countless small tweaks in the UI. Important: Turn off automatic updates in Manage page to upgrade to this version! Fixed the automatic updates feature, if you enable it. The Dashboard plugin will stay up to date from now on! Our members with a Single-Membership can now use the Plugins and Themes page to install updates. Fix broken dashboard layout that was caused by certain third-party plugins. New: Support for Upfront themes! Added filter logic to convert images and JS to use https when admin area is using ssl. Modify permissions logic for admin menus. This should work correctly when the site has blocked install/update perms on plugins and themes. Like when setting DISALLOW_FILE_MODES in wp-config.php the Plugins and Themes sections are not displayed to the user. Major rewrite! Required for the latest versions of WPMU DEV plugins. Auto-updates for compatible themes/plugins. Bulk auto-updates as well. The Dashboard Improves access to support, adds one-click installation and unlocks Hub integrations. Activate backup and restore, performance monitoring and SEO recommendations. Plus, get one-click access to our full product lineup and 24/7/365 WordPress support in your dashboard – all while making your site more secure. Connect with the WPMU DEV super servers for enhanced site optimization, security, and control. The WPMU DEV Dashboard plugin links your sites to our super servers for added features and more control. Use our servers to run scans, monitor uptime, and optimize images. Connect the powerful services and manage all your sites in one place. Control all your sites from one place! The Hub is our powerful onsite dashboard that monitors and improves speed and stability. All the power of WPMU DEV products, support and services on your dashboard at full speed. Browse WPMU DEV themes and plugins in a simple-to-navigate app store environment. Dashboard gives you one-click installation, upgrades and security updates for all our plugins and themes. Easily jump from feature to feature with quicklinks. Our Dashboard plugin adds quick access to the WPMU DEV features you use most. Edit account information, Create a support ticket, browse the community, access manuals, find tutorials – there are quicklinks for everything you need. Give a support hero access to your site with the click of a button. Give one of our highly qualified support heroes temporary access to the back end of your site to help fix complex issues. Support access is a click away, completely secure and can be turned on/off at any time. Beautiful unbranded analytics reports that don’t need a third-party integration to work. Activate analytics and start tracking site activity without any third-party integrations. Grant access by user role and display stats from right inside the WordPress dashboard. One-click setup and completely unbranded. The hero hider removes or replaces our awesome hero branding. Let’s face it, WPMU DEV branding is sweet. But not everyone wants hero images on their client sites. Turn on the WPMU DEV hero hider to hide or replace our branding with a custom image, company name or client branding. Participate in discussions and help other members to earn hero points. Build your reputation and redeem your points for real stuff like discounted memberships. Get enough points and we’ll give you a lifetime membership! All your important system information in one place. Easily access system information in one easy to navigate report. Get all the information you’ll need for support or system maintenance in one place – PHP, MYSQL, WordPress, Server and HTTP Requests. Give specific users access to the WPMU DEV Dashboard. Who Will See Dashboard Features? Building a client site or offering managed hosting? Control which administrators can access the WPMU DEV Dashboard plugin and see announcements – perfect for developers and design agencies. Begin by Installing the WPMU DEV Dashboard plugin. New to WordPress? The Installing Plugins section or our Using WordPress documentation will guide you through installing your first plugin. On a standard WordPress installation – Click the Plugins tab. Find the WPMU DEV Dashboard plugin and click Activate. For a WordPress Multisite installation – Go to Network Admin > Plugins. Find the WPMU DEV Dashboard plugin and click Network Activate. Note: This plugin is an administrative tool and will only be made available to your network administrators. This will add the WPMU DEV menu to the WordPress admin panel sidebar. Keep in mind, only Administrators can see the new menu. In the Activity module, you’ll see your recently earned Hero Points. 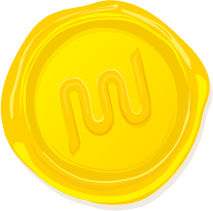 Help other WPMU DEV members to earn Hero Points. Redeem points for real stuff, like discounted memberships and t-shirts. View and download the most popular WPMU DEV plugins in the Popular Plugins module. Use the Quick Links module for fast access to Plugin & Theme installation, all the WPMU DEV WordPress manuals, lodging a support ticket or visiting the WPMU DEV Community. It’s all your favorite WPMU DEV features at your fingertips. Search the entire WPMU DEV catalog of plugins. Sorting by options and categories makes it easy to find what you are looking for or to discover new plugins. Click Install to add and activate WPMU DEV plugins without ever leaving your dashboard. One-click installation and activation is the fastest most convenient way to install and activate WordPress plugins. Use the Configure button when available to jump directly to the plugins settings and configuration options. Click the instructions link to browse usage documents right from the WordPress dashboard. Browse, search, install and activate Upfront starter themes. Sort by popularity, release date, recently updated, downloads or title to easily find a theme that is right for your project. Use Install for one-click Upfront installation and starter theme activation. Just like with Plugins, usage instructions are readily available to quickly reference without ever leaving the WordPress dashboard. Simply click the instructions tab and a pop-over will appear with the setup guide. The My Tickets module links to your support tickets with recent activity and shows how many replies each ticket has. Threads with unread comments are marked by a yellow comment notification. Use the Support Access module to give a Support Hero temporary access to your site. It’s secure, convenient and you can revoke access at any time. Click Grant Support Access to authorize access to support for 5 days. Click Extend to extend authorization past 5 days. Turn off access at any time by clicking Revoke. Leave a special instruction to help your Support Hero solve your problem more quickly. Basically, all the information you need to debug or troubleshoot your site in one place, from WordPress and Database information to server and API pull requests. The Membership and API Key modules show your current subscription information and give you quick access links to change or update your password information, manage your API key, update billing information and manage or change your subscription level. General Settings is where you can enable/disable automatic updates for WPMU DEV Dashboard plugin. The Permissions module lets you control which administrators can access and see the WPMU DEV menu and announcements. Only users with assigned permission can see the WPMU DEV menu and announcements. This makes the WPMU DEV Dashboard perfect for developers and use on client sites. You should now have everything you need to get started. But don’t worry, If you still have questions our Support Heroes are on call 24/7/365. Submit a ticket and we’ll respond shortly. WPMU DEV Dashboard adds a huge level of convenience.